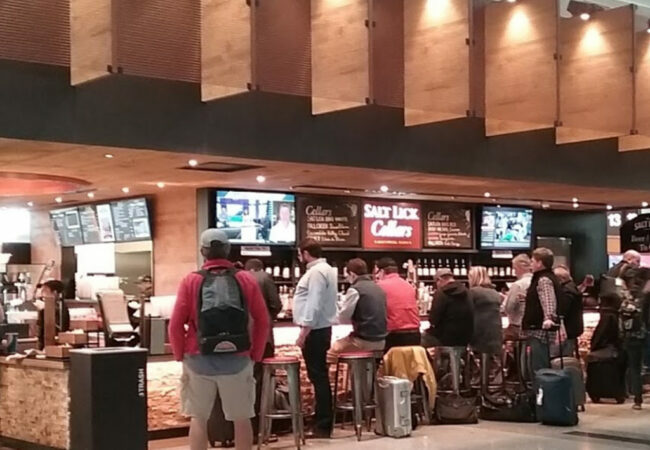 Salt Lick BBQ Restaurant – Fish Construction, Inc. 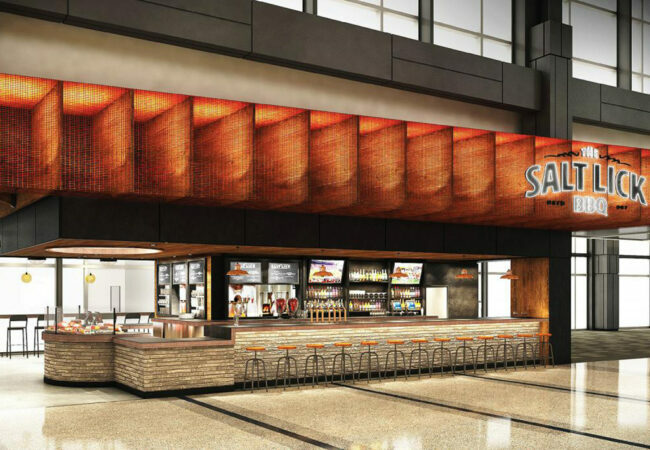 This iconic Austin, Texas restaurant was expanded to almost twice its original size as part of the concessions upgrade plans for this capital city airport. 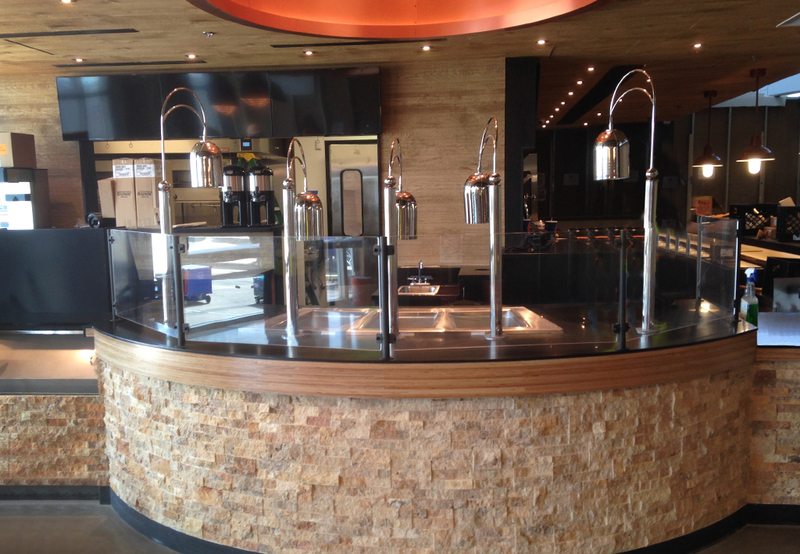 The upgraded look in their new location included specialty metals and wood features fabricated and installed by Fish Construction that reflect the signature organic vibe of this city. Eye-catching custom oxidized metal & wood fins overlaid with a copper-powder coated metal mesh screen add to the artistic elements that add warmth to this hotspot eatery. 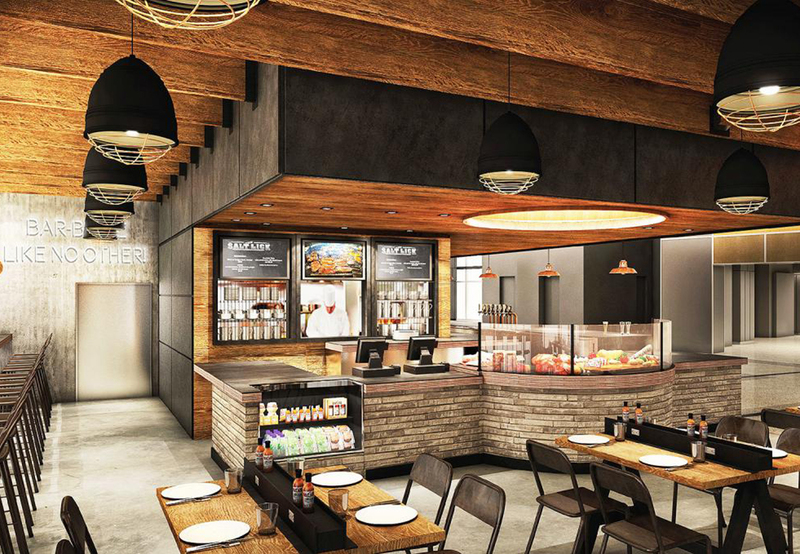 The custom oxidized process turned carbon steel to a rustic black color which was used throughout including shelving units, and unique tables for passengers to charge their electronic devices while dining. 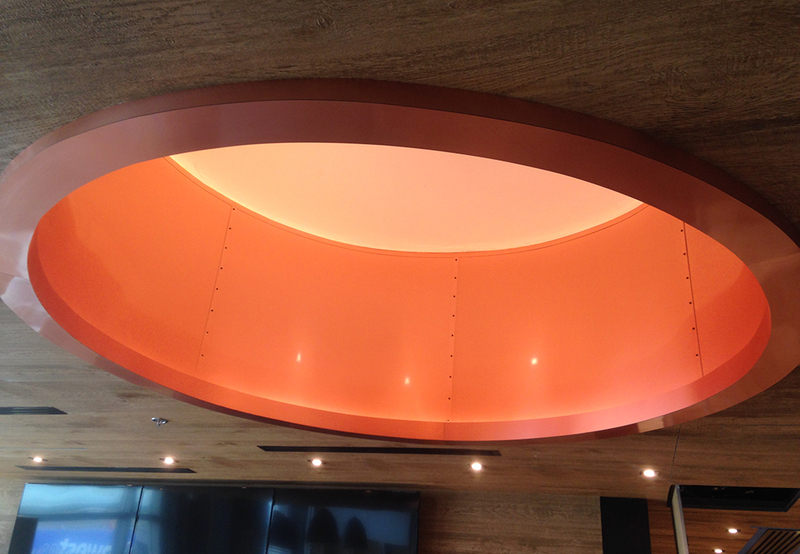 Other features built by FCI include the restaurant’s signature curved carving station illuminated overhead by a large oculus light fixture trimmed out in copper-colored metal laminate. 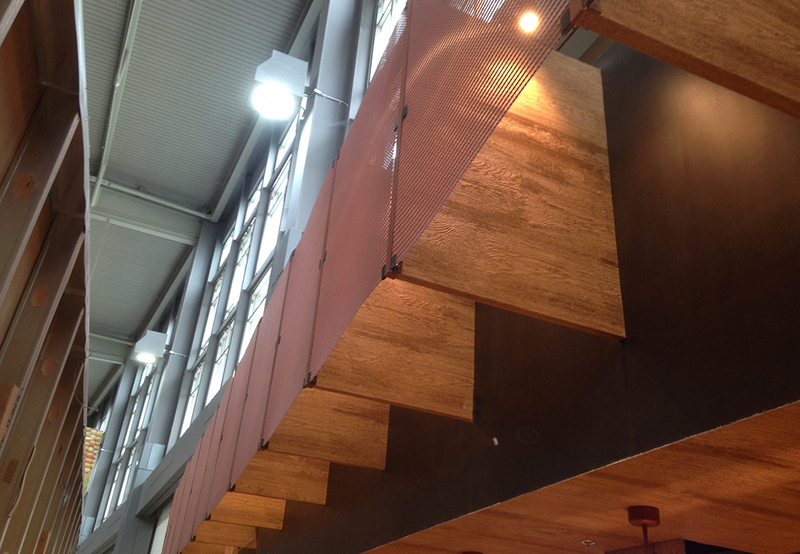 Over the seating area, FCI installed faux joists that further enhance the rustic, modern theme of this space.